The Daniel Heitz Band are blues rock jam goodness from Longwood, Florida! GET TICKETS TO THE DANIEL HEITZ BAND IN ORLANDO HERE! The Daniel Heitz Band are Wednesday night regulars at Tanqueray’s Bar in Downtown Orlando. 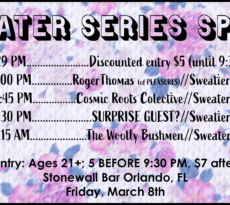 With this headlining show at Will’s Pub, you can enjoy a smoke-free environment and definitely expect a few surprises and special guests sitting in. The band consists of Daniel Heitz (guitar & vocals), Nathan May (bass & vocals), John Dorney (guitar) and Jason Zane (drums). 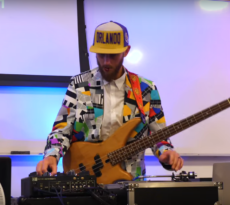 Check out this video of them live in studio at WFIT 89.5 FM in Melbourne, Florida. Listen to tracks from The Daniel Heitz Band on Reverb Nation. Custard Pie are a psychedelic-rock trio based out of Valdosta, Georgia with elements of improv and experimentation. Influenced largely by the more eclectic artists of the past, such as Frank Zappa & Col. Bruce Hampton, or more recent progressive artists like Umphrey’s McGee or Phish, Custard Pie formed and started writing in the fall of 2014. Grindstone Sinners are a four piece rock band from DeBary, Florida. Heavily influenced by the spirit of 60’s rock-n-roll, they write and perform their own songs. 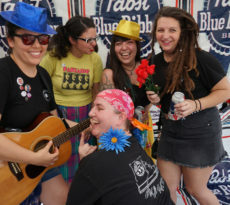 Known for electrifying live performances and infectious original songs they are quickly acquiring a loyal fan-base in the Central Florida area. It should be an awesome Friday the 13th! 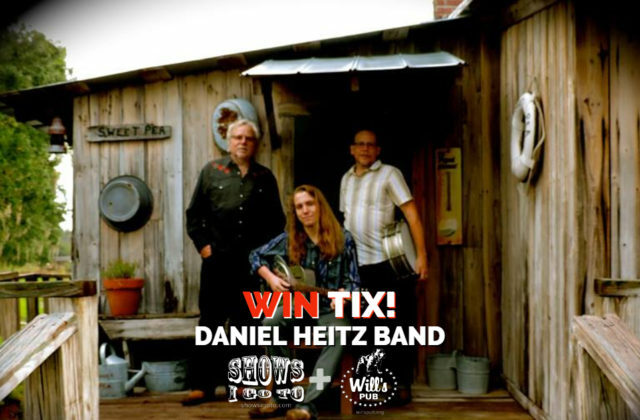 Enter to WIN TICKETS to check out The Daniel Heitz Band at Will’s Pub in Orlando on Friday, July 13th below! Custard Pie and Grindstone Sinners will be opening up the show. Advance tickets here. Tickets are $10.00 at the door. This show is 21+. Doors at 8pm. 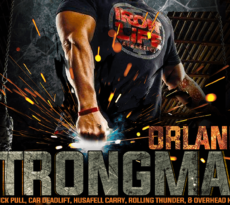 CONTEST ENDS: FRIDAY, JULY 13, 2018 at 12:00 P.M.
1. Share this post & ‘Like’ Shows I Go To on Facebook & Wills Pub on Facebook. 2. Follow/Screenshot & Share/Tag SIGT on Instagram & Wills Pub on Instagram. 4. Re-tweet this post & ‘Follow’ @ShowsIGoTo on Twitter and Wills Pub on Twitter. The Daniel Heitz Band hit up @willspub on Friday the 13th w/ @custardpiejams and @GrndstoneSnners !!! The Daniel Heitz Band Ticket Giveaway by Richie.